We post simple steps to follow to keep eyes healthy . There are many things you can do to make sure you are seeing your best. 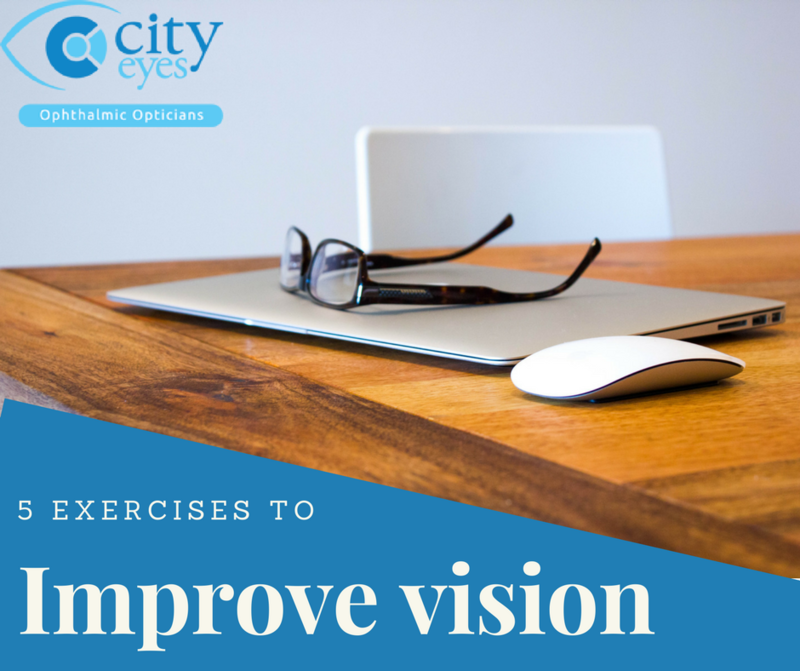 Try 5 very easy but effective everyday exercises to help strengthen your eyes and improve vision. Blinking is a simple exercise which helps to focus longer. Computer users and television watchers tend to blink less, especially when they are intently focused on something. Try it now for the next two minutes. Figure of eight is another simple exercise for eye muscles and their flexibility. Imagine a t figure of eight in front of you. Now turn the 8 on its side. Now trace the figure of eight with your eyes, slowly. Do it one way for a few minutes and then do it the other way for a few minutes. Warm your eyes. Rub your palms together to create heat, and then place them against your eyes for five seconds. Repeat these three times. Focusing. Sit in a comfortable position. Put your thumb about 10 inches (20 cm) in front of you and focus on it for 5 sec. Then focus on something else about 10 – 20 feet in front of you. Keep switch between focusing on your thumb and the 10-20 feet object in front of you. This will strengthen the muscles in your eyes and improve your vision overall. Follow the 20/20/20 rule: Every 20 minutes, look at least 20 feet away for at least 20 seconds.Do these exercises daily to maintain the optimal vision for longer period. You should get your eyes checked regularly , even if you don’t wear glasses. If you have any questions to consult with our highly professional ophthalmologists, book an appointment today. At City Eyes Ophthalmic Opticians, we use the latest hi-tech diagnostic equipment to provide a comprehensive eye health examination, vision analysis and assessment of the visual pathways, tailored to your needs. Optical Coherence Tomography (OCT) Explained. Have your children had an eye examination in the last year? Hayfever? It’s time to take control!